In agricultural environments, including a vineyard, the existence of dust is both undesirable and costly. Dust generated by vehicles on gravel roads or forklifts and trucks in packing or loading areas contaminates crops and results in lower yields, inferior fruit quality and reduced revenue. Dust that settles on fruit can cause white rust or red spider, which is costly to prevent. These contaminated crops cannot be used for export and therefore reduces the farmer’s revenue. Clearly the solution lies in preventing dust, rather than treating crops. 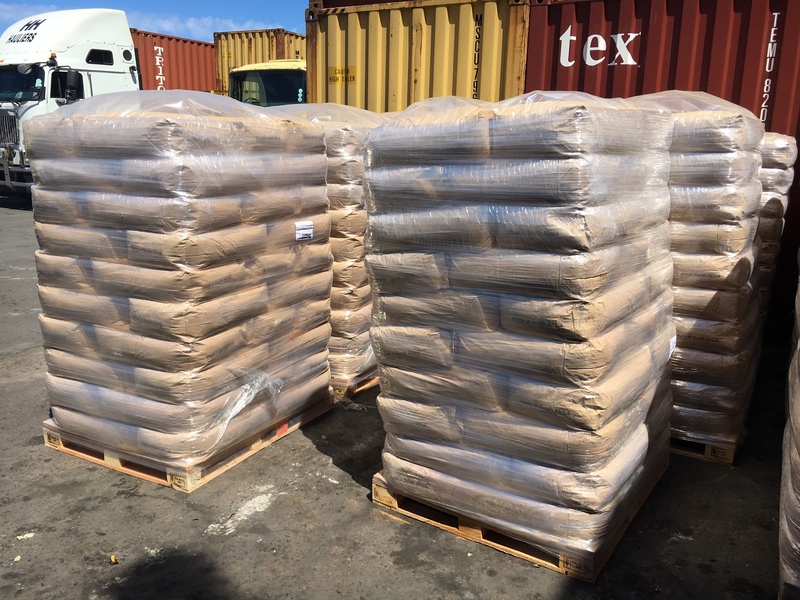 DUSTEX is a calcium ligno-sulphanate, supplied in Dry Powder form as 1,2 ton pallets (48 x 25 kg bags). DUSTEX mixes freely with water and can be sprayed via a water tanker onto most gravel road surfaces, binding the surface materials to control airborne dust. The penetration of DUSTEX with gravel allows the top layer to harden, forming a ‘crust’ that significantly reduces dust, erosion and wear. 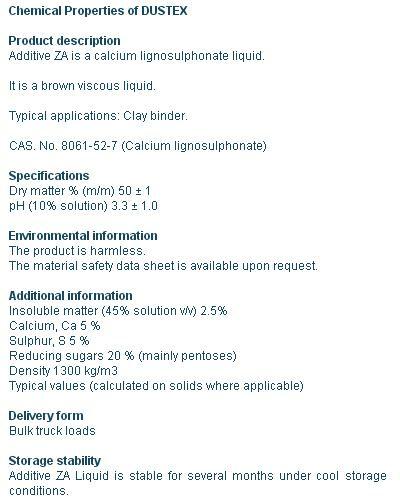 DUSTEX is available in liquid or powder form. It has been produced and used world-wide for over 50 years in various farming environments as well as in construction, mining and broad acre applications. It is easy to use, requiring no specialised equipment. Simply mix DUSTEX in water before spraying onto the road surface. A once-off application provides immediate results, although a rejuvenation programme will secure a dust free environment for longer term benefits. The recommendation of spray-on surface applications assumes that the road surface is firm, dense and free of serious defects or deformities. Excessive loose material should be removed prior to application. As a surface application relies on penetration to be effective and the material type and characteristics are unknown, we recommend that the DUSTEX be applied over a period of two to three days using a 10-15% solution to an eventual total initial application of around 1,0 Kg/m2. Once a road surface has been treated with DUSTEX, it may immediately be used to travel on. Road surface preparation, traffic type, volume & speed and rainfall will determine rejuvenation frequencies. For budget purposes, a rate of ±0,200 Kg/m2 should be allowed for every six to eight weeks. Rejuvenation frequencies should decrease as the DUSTEX concentration increases in the road surface. 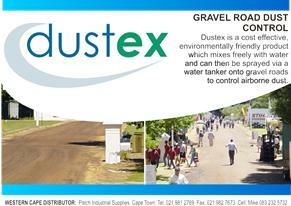 DUSTEX reduces grading frequencies by 50-75% and also reduces “loss of gravel fines” by over 50%. These savings are significant.